Rice is one of the most ancient and most popular food grains known to civilisation. It's an integral part of a number of cuisines around the world. However, in the recent years rice has become one of the most feared food grains in the world, all thanks to its high-starch content, which is known to be especially bad for people watching their weight. It is a carbohydrate dense food grain and is also a food that delivers a fairly high amount of calories per serving. So once someone switches to a weight loss diet, rice is the first food to get kicked off from the meal chart. In fact, white rice is often prescribed to people who want to gain weight quickly. Moreover, rice is a culprit for diabetics as well, as the easily absorbed carbohydrates in rice can lead to spikes in level of glucose pretty quickly. So would you have to sacrifice rice completely if you want to lose weight? It would now seem that you wouldn't, because there's a way to significantly reduce the number of calories from the rice you are eating. 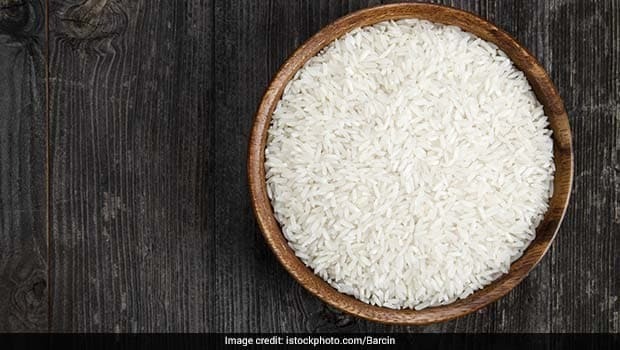 A 100 gm serving of white rice can contain anywhere from 130 to 400 calories, depending on its variety and the way of cooking, as per data by the United States Department of Agriculture. But if cooked in a particular way, you can significantly reduce calories from your rice portion, ensuring that you lose weight, despite indulging in this staple. In fact, this one particular trick promises to slash the number of calories in your portion of rice by up to 50 per cent or more! The trick is suggested by a team of scientists from the College of Chemical Sciences in Sri Lanka, who claim to have figured out a way to make starchy rice, less calorie-dense. Moreover, the trick is extremely simple to follow at home- just add coconut oil to the rice, while boiling it! The scientists, who presented their findings at the national meeting of the American Chemical Society, said that the trick involved simply adding the oil to the water before adding the rice to it, simmer for about 40 minutes and then refrigerate the rice for about 12 hours. The trick worked by increasing the amount of resistant starch in the cooked rice, which jumped by 10 times in the rice cooked in this manner. By increasing the amount of resistant starch in the rice, what we're basically doing is bringing down the number of calories the body can absorb from it. The cooling process is essential for the trick to work and that's why it is advised to cook the rice the night before and then use it for lunch and dinner the next day!